Mountain Road Animal Hospital has been a member of AAHA since 2012. You may have heard how proud we are to have passed our recent evaluation and can continue serving our clients as an AAHA accredited hospital. What does that mean and why is it so important? 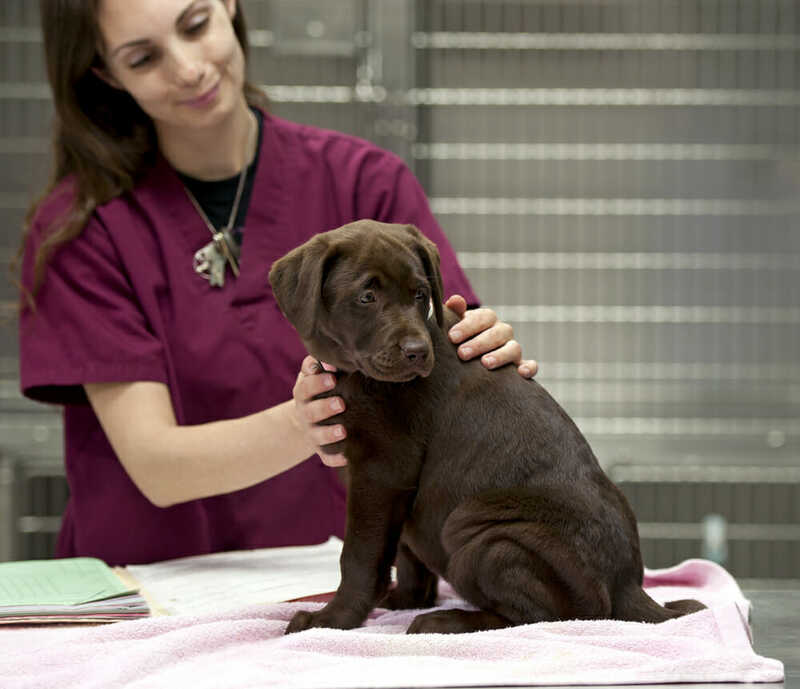 AAHA stands for the American Animal Hospital Association. It is the only association that is exclusive to companion animals and was formed by leaders in the veterinary profession. Their focus is to guide our profession in providing the highest quality of care for our patients, improving the standards of care (i.e. Developing guidelines for medical diagnostics, treatments, and health monitoring) and holding our hospitals to a higher standard. Thoroughness: Ensuring our physical exams, workups and medical records are well completed and documented. Also, using a multi-modal approach to monitoring our surgical patients and client information/ discharge sheets. Responsive: Being prepared for emergencies by keeping our hospital stocked with life-saving equipment and medications, with everything properly labelled and readily available. Sanitary: Hospitals must have infection control protocols in place and practice superior hospital cleanliness and personal hygiene. Becoming an AAHA accredited hospital is a huge accomplishment. It is something we have chosen to pursue and have worked very hard to meet these standards so that we can provide the best care for your pets. For more information, visit the AAHA website.